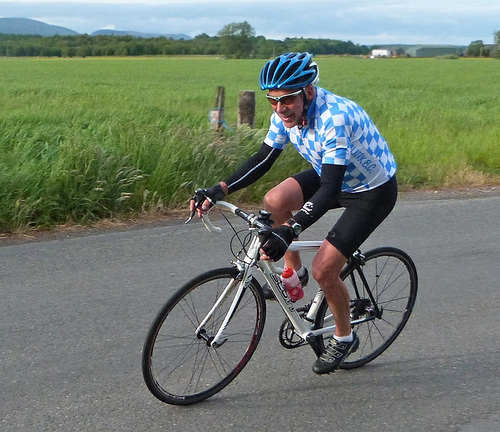 The Falkirk is a vibrant cycling club based in Falkirk, Stirlingshire. 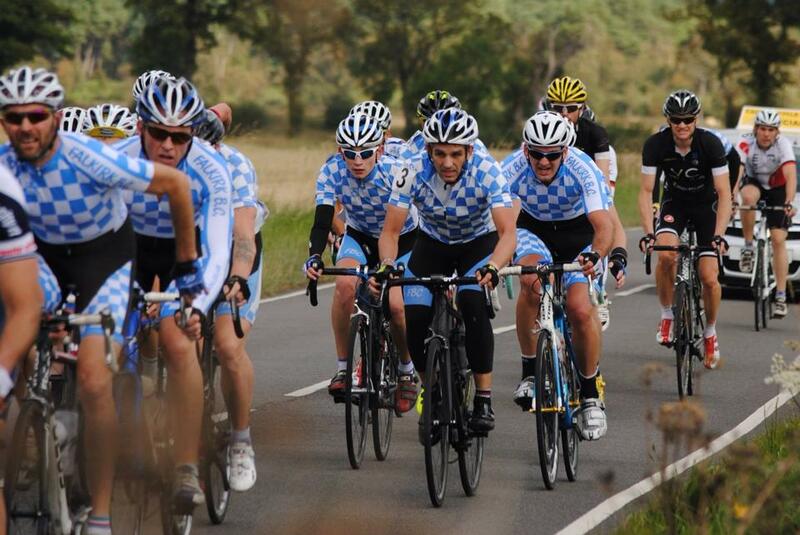 Are you from Central Scotland and looking for an established and properly structured cycle club? 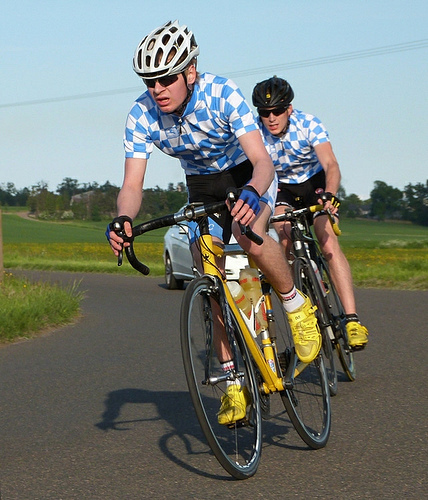 Look no further than Falkirk Bicycle Club! 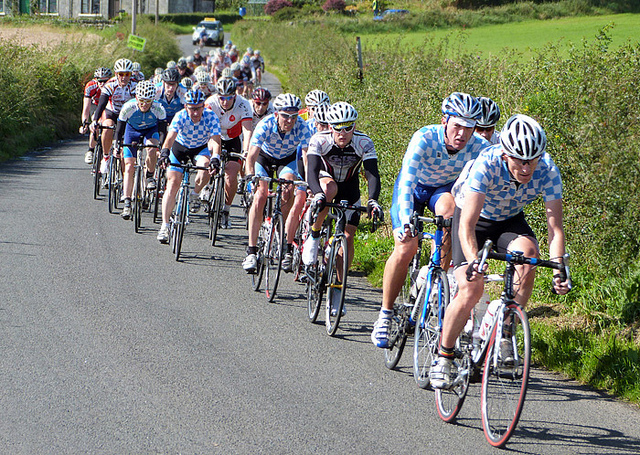 We have a membership of around 120 men and women varying from 16-70 year old comprising dedicated Racers, Time Trialists, Sportive riders, Mountainbikers, Triathletes, as well as Cyclo Cross and occasional social riders. 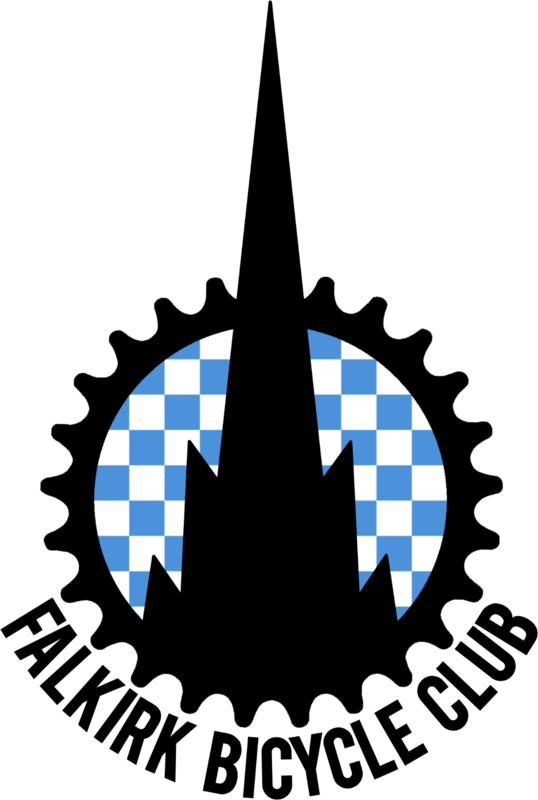 The Club was founded in 1986 and prides itself on being a friendly organisation dedicated to helping people have fun on bikes whether they race or want to go for a pedal…. We are looking for new riders on a weekly & monthly basis. 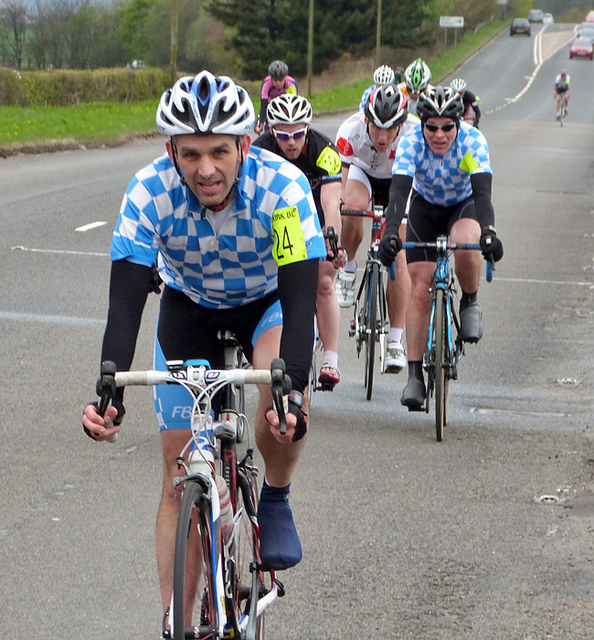 We have experienced riders of all abilities who will help you develop your skills and fitness to help you get to the next level in a friendly and supportive manner – whether it be social cycling or entering races. Make contact with our club now via our “Contact” page and our Club Secretary Stephen will introduce you to the club. So why wait? WEEKEND CLUB RUNS - Saturdays and Sundays - all year round! STRAVA - Check out our training routes on Strava. The club was founded in 1986, the first meeting of the Club being held in the Red Lion Inn, Falkirk, with Alex McCulley, Jim McCartney, Rab Williams and Paul McAusland present. The application to affiliate to the SCU was refused in that year due to opposition from The Denny and other MSCA clubs. After approaches were made directly to the SCU the club was affiliated without further problems so official club status was recognised in 1987. 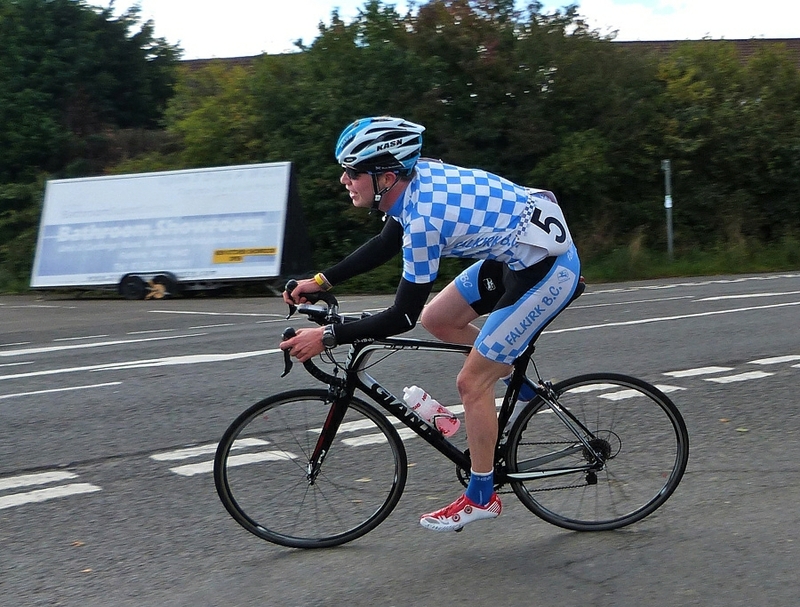 The first Race Winner for the Club was Forbes Turnbull in the Dundee Thistle’s early season APR in 1987.The first Scottish Champion was Alan Anderson Junior Time Trial B.A.R. OVER 10 & 25 Miles. In the early days the Club met on a Wednesday evening at the scout hall in Falkirk. We had acquired a set of competition rollers and these were used for training and for newcomers to show what they could do. When we got our first club jerseys Billy Bilsland (ex-pro Peugeot & Raleigh) and Arthur Campbell (SCU, BCF & UCI Office bearer.) presented them to the members. The jersey design was voted on many times and we ended up with the bright and eye catching design still used today. The call ‘Up the Fawkirk’ has been heard all over Europe as we are instantly recognisable. The idea for the cheques came from an Italian Pro team and the blue was associated with Falkirk. All though the club members wanted a lighter blue that the navy blue that is normally associated with the town. At its inception the club catered for both road and mountain biking. We organised some of the first Mountain Bike races in Central Scotland. The race course was in the Carron Valley and when the Forestry Commission started charging us per rider we dropped the event. There are now routes in the Carron Valley that we used, official MTB rides for the forestry trails. By 1990 the mountain bikers had formed themselves into the Central Mountain Biking Club and pursued their own course. This Club folded after a short period in existence but the “Roadies” continued as the Falkirk Bicycle Club and have gone from strength to strength ever since. As of 2016 the club still has three founder members ex- Chairman, the inimitable Alex McCulley, mile-eater Jim McCartney and the sponsor of our Team Race for three years, Rab Williams. 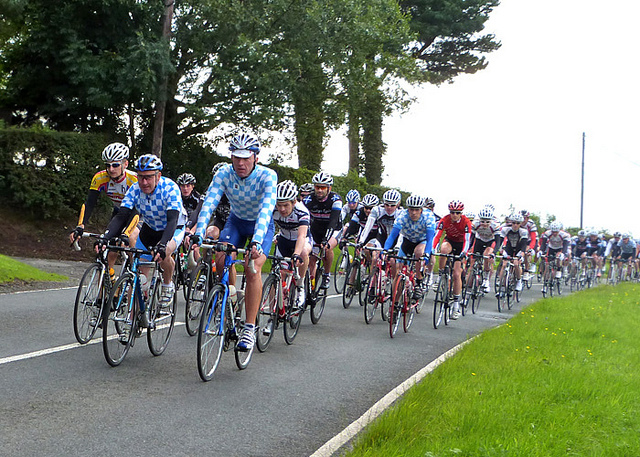 The membership now numbers about 140 and the club is active in promoting road racing events in Central Scotland. 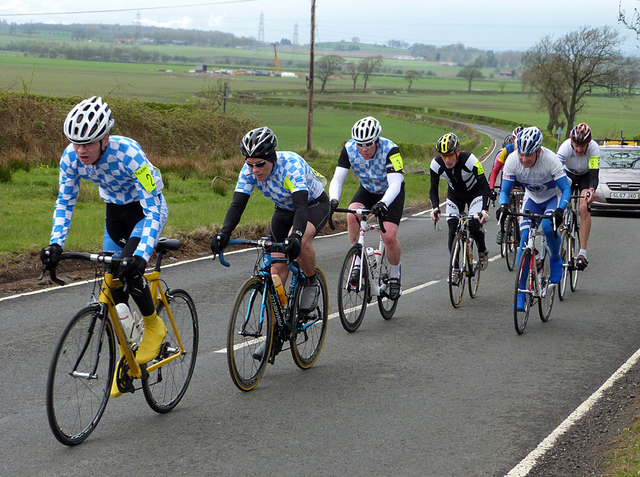 The Mayday Gallop (APR), The Billy Warnock Memorial Road Race, The Tom Anderson Memorial Vets Road Race and lately a Ten Mile open Time Trial.